A mushroom “totem” is a name for a mushroom log that is made up of sections of large-diameter log that are stacked up on top of one another with layers of spawn in-between. I use most of my oyster spawn with this technique because it is supposed to be more productive than small-diameter cultivation (drilling). Folks have used the totem method with shiitake and lions mane mushrooms as well, and probably others. 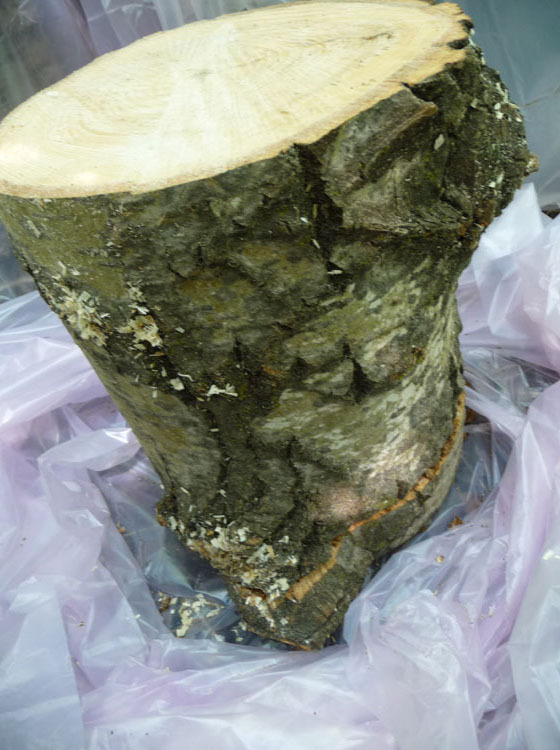 Some of my logs are a foot and a half in diameter and four foot long and around the 200 lb. mark, so it is wise to make your large totems where they can stay forever! Mine are located in some woods where they can get shade during the summer. I cover them with shade cloth during the winter months. 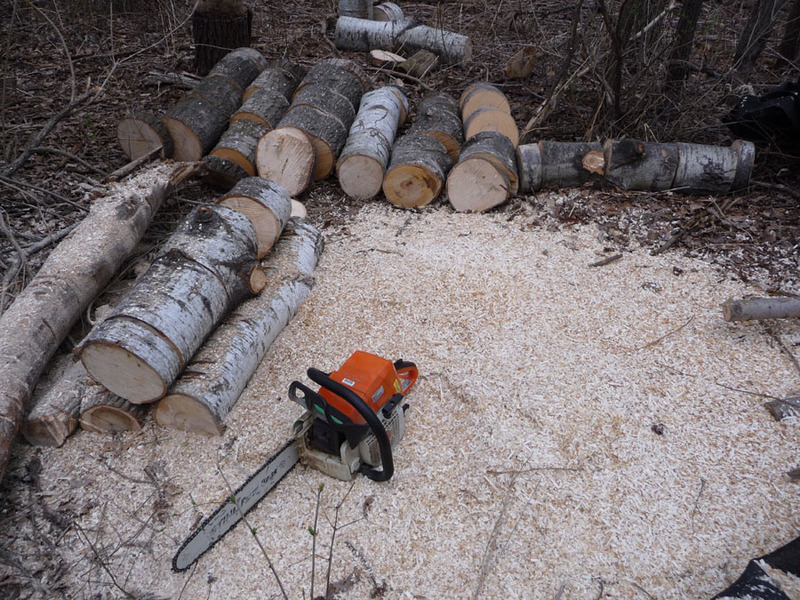 Start by cutting your logs into sections. 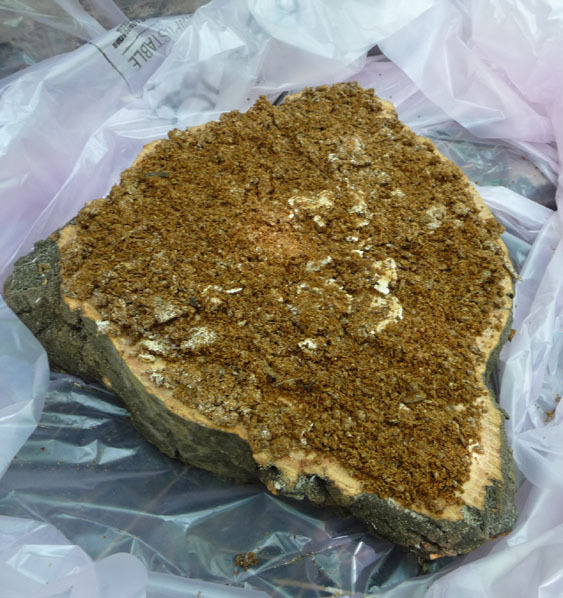 I wouldn’t do this until you are ready to inoculate, since it will dry out the log unnecessarily. 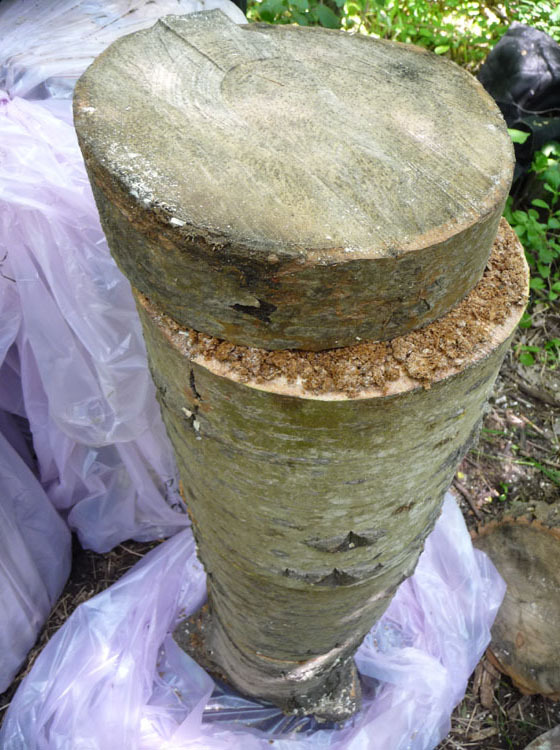 This year my new logs are only 3 foot long, so I cut a two or three inch “cap” for both bottom and top and divided the rest into three sections, so each is about 10 inches high. I make a cap for the top to protect the spawn from drying out there, and I use one at the bottom instead of putting spawn directly on the ground. 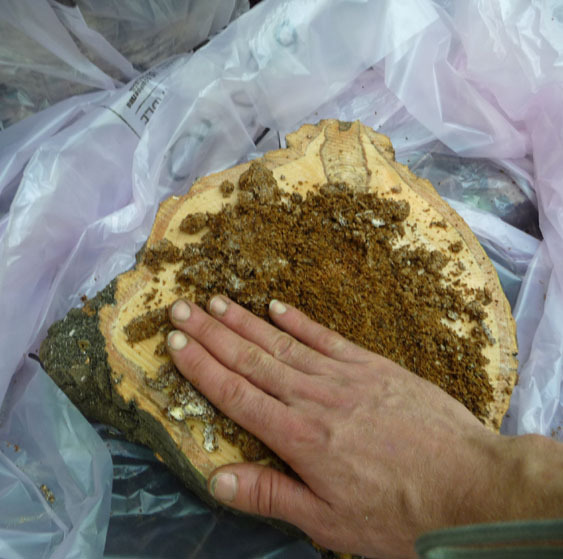 Spread a 1/8 inch to 1/4 inch layer of sawdust spawn on top of the log section. Add another log section between 10 and 18 inches high on top of the first one. Keep adding layers of spawn and remaining log sections, and finish by adding a log cap. 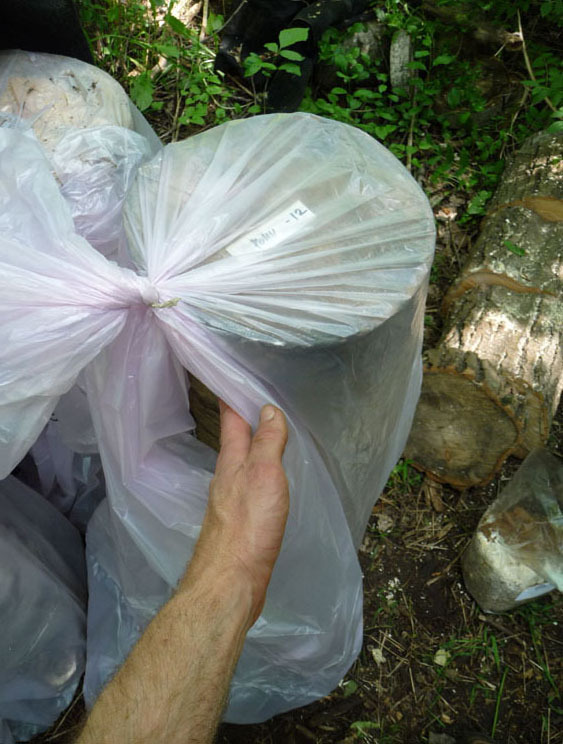 Finally, pull the bag up around the totem log and tie closed, leaving some opening for the mycelium to breathe. I generally add a tag to the cap, so that I know what species/strain of mushroom it is and the year it was inoculated. 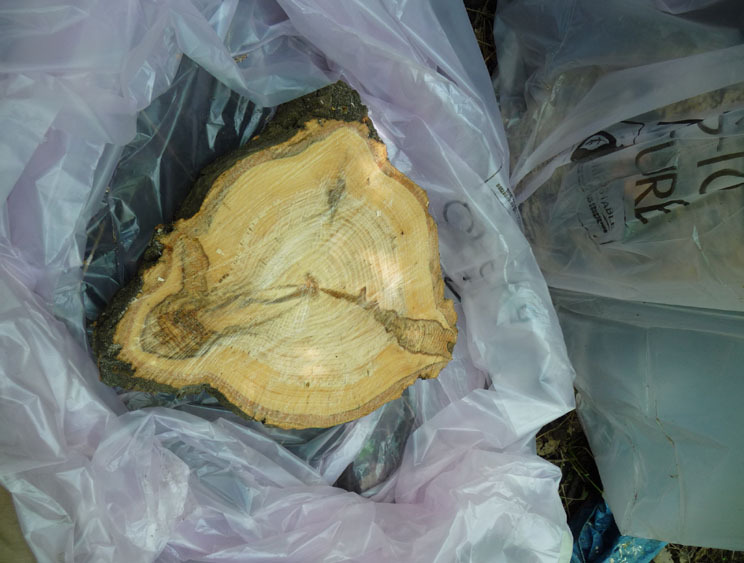 Leave the totem log in its bag for two or three months, by which point it should have a white mycelial coating at the log ends and over much of the bark. At that point you can pull of the bag and it will be ready to fruit, provided that the right conditions exist of temperature and humidity/water. Keep watch for my next post on totem logs, since I’ll show you how my logs have been progressing, and what a fully colonized oyster totem log looks like!